‘Tis the season for eating! 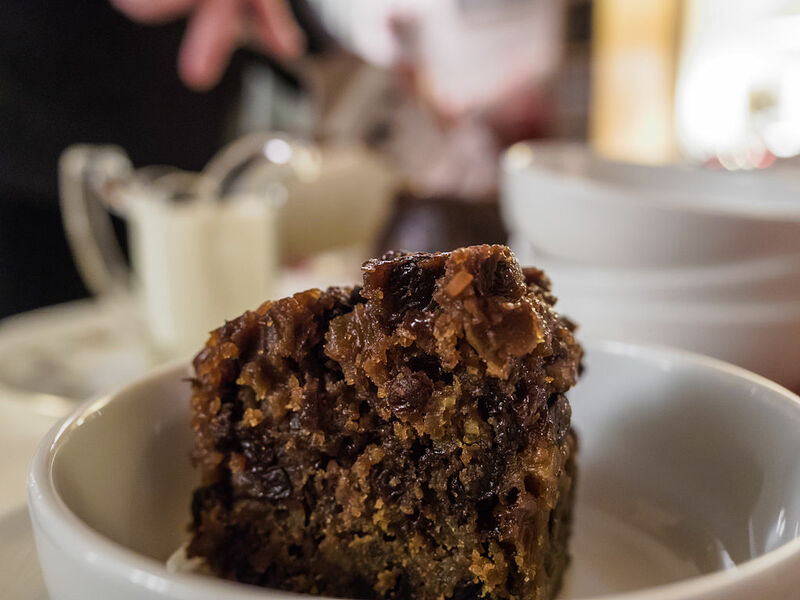 You may have guessed by now that we love all of the food here at unCOVered but there is something special about Christmas time – it becomes perfectly acceptable to get your eating-pants on for a solid month! Christmas eating habits aren’t just reserved for Christmas Day – oh-ho-ho-no it’s now a month-long extravaganza! How else are you meant to try every single Christmas sandwich and coffee on offer?! So how can you celebrate with your uni gang before heading home next week? Deck the fridge with lots of foodie treats, as we’re bringing you our tips for eating all the trimmings without asking Santa for a loan this Christmas. 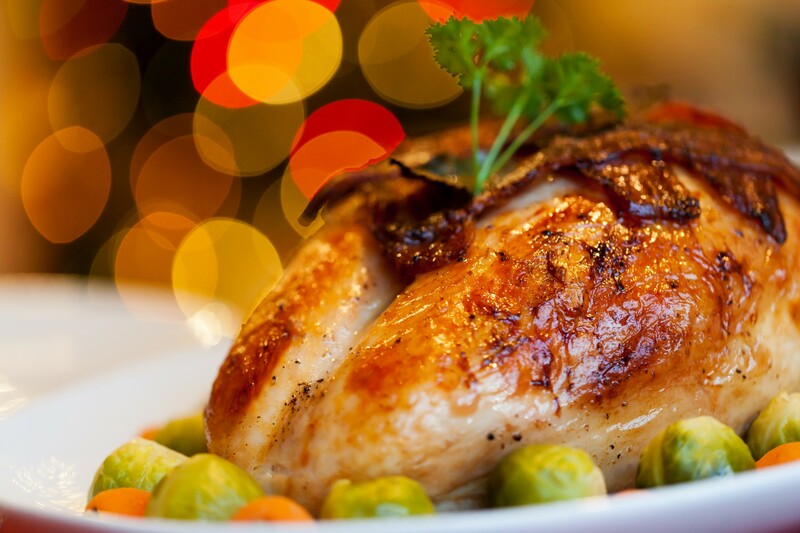 Meat – Traditionally you’ll be tucking into a turkey for your Christmas dinner which you should shop around for and make sure you’re checking the cost per kg! But if your flat or friendship group isn’t looking to feed the 5000, we recommend substituting chicken as it’s a lot more readily available and often with a cheaper price tag. And it still tastes amazing with gravy! *Meaty top tip – If you’ve gone for a reasonable sized chicken, cover it in salt and pepper and your favourite herbs, and try roasting it in a roasting bag! It keeps the meat super moist (sorry, had to use that word) and locks in tons of flavour. Veggie Alternative – Lots of you are probably ignoring this part, but for those that aren’t, it’s often tough to find a decent alternative when it comes to a Christmas dinner! So we’ve done some research and found a couple of great ideas. Firstly, there’s an epic looking ‘melty mushroom wellington‘, but if mushrooms aren’t your thing, how about a whole roast cauliflower (looks tastier than it sounds). Or, if you want to get creative and try something completely different, we love the look of this spinach & ricotta butternut squash roulade! Potatoes – Whether you boil, mash, or roast your potatoes, your plate won’t be lonely this Christmas as this is a staple for your dinner. 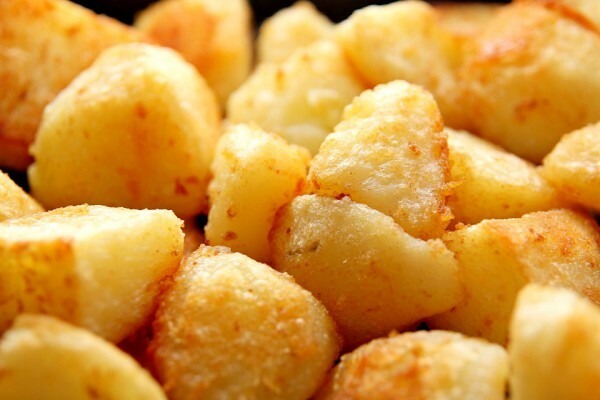 If you’re cooking for meat-eaters, roast the potatoes in the meat juices for extra flavour or try goose fat! And why not add a touch of mustard to your mash potato to give it a little kick. *Tatty top tip – Everyone always wants to achieve the perfect roast potato, this means parboiling your potatoes until they’re slightly soft. While they’re boiling, stick your chosen oil in to the oven to heat up. Then when you drain your potatoes, give them a little shake to fluff up the edges and add them to the pre-heated oil. This will give you a great crispy outer layer! Veg – Sprouts are one of the great dividers of our nation but love them or hate them, Christmas wouldn’t be the same without them. Go to your local greengrocers to get your veg so you can weigh your own amount, unless you want a yearlong supply of sprouts! Decorate your dinner with carrots, parsnips (roasted in honey and mustard…yum) and greens of your choice. For a extra little treat, follow this recipe for cauliflower cheese. *Sprout saving tip – If you’re not keen on brussels, but your group have requested them, why not sauté them with some smoked bacon after boiling! It adds lots more flavour and makes this vegetable more edible for those that aren’t in the sprout fan-club. Stuffing – The cheapest way to be stuffing satisfied is to ignore the big supermarkets and visit an Aldi or Home Bargains style store. They often have all the well-known brands for half the price! Then all you have to do is follow the instructions – hint, get your kettle ready – and then do with it what you wish: shape into balls, add to your meat dish, or let everyone help themselves. 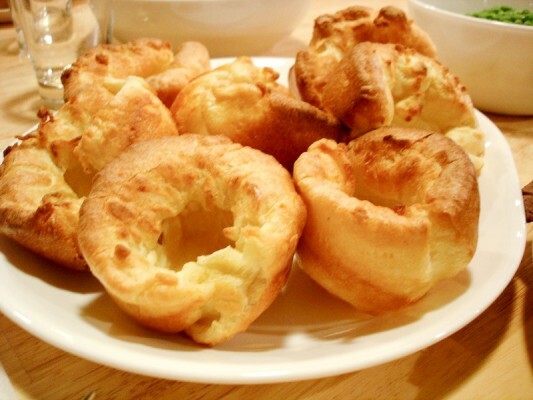 Yorkies – Yorkshire Puddings go with every single type of roast, fact! To make your own, you’ll just need a simple batter recipe and a muffin tray. They can be slightly tricky to get looking right the first time, but as long as they taste good does it matter? Pigs-in-Blankets – This is the no.1 Christmas trimming! Pigs-in-Blankets are a Christmas legend just like Rudolph and the Elves. To make your own, you’ll need to get some chipotle sausages and wrap them in small strips of bacon. You can even make or buy veggie alternatives which taste just as festive! Christmas Pudding – Seen as ‘old-fashioned’ in some houses, or traditional in others, there’s always a Christmas pudding somewhere in the house over the festive period! Whilst it can be time consuming to make your own, if you know people love it, it might be worth the effort and there are lots of recipes available. If you’re just wanting to buy one, check out your slightly cheaper supermarkets like Aldi and Lidl! Mince pies – Last Christmas I gave you a mince pie… And it didn’t even last until the next day! If you’ve never had a mince pie, it does not include meat (we’re not making Rachel’s meat trifle from Friends!) as this mincemeat is packed with sultanas and nuts. You can either make your own pastry, like in this recipe, or get some Just-Roll to save time. Before popping them in the oven, glaze them with egg to give them a nice golden colour and dust with icing sugar before serving. Gingerbread House – Create your own Santa’s Grotto or Elves Workshop! You can buy cutter sets to form your house but make sure you bake your gingerbread at least 24 hour before trying to assemble – the longer you leave it, the sturdier it becomes. Time to be creative and decorate the house with icing and sweets (tip: get multi-bags of sweets which might be on offer). 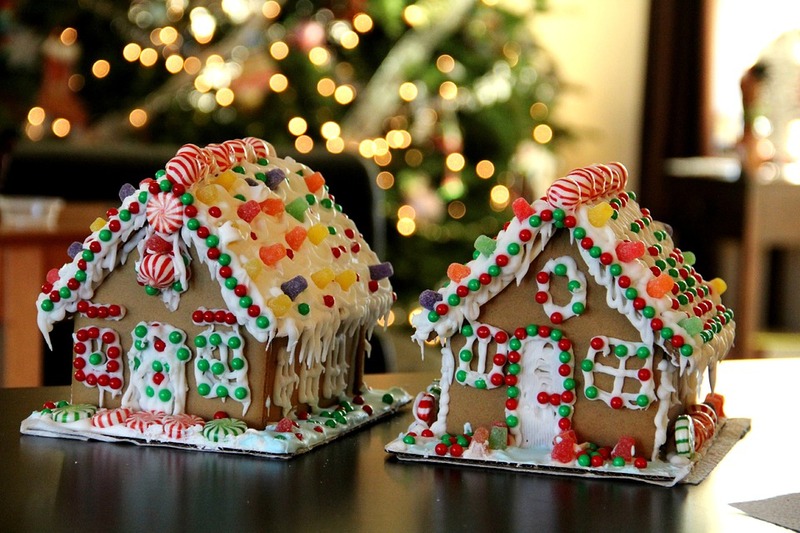 There are 2 challenges involved: will your house stay upright… And can you avoid eating it straight away? This is Instagram gold! Cheeseboard – Cheesemas is the best time of year and for those of you that still have room left after all of the above, a cheeseboard is a great end to a very food filled day/night. If you’re not a cheesy connoisseur, try and get to a cheese counter and ask if you can sample some, they’ll often give you recommendations too! For a good mixture, we’d recommend something blue, a nice cheddar, a brie or camembert, goats cheese, and something with a nutty taste and creamy texture. That’s our sum for the perfect cheesemas. Dinner-in-a-roll – If Santa Claus is coming to town then it only means one thing: leftover sandwiches! This is a present you can enjoy the day after (Uni)Christmas by using any leftovers you have and combining them to make the perfect sandwich! Bubble and squeak – a great way to use up those Brussels sprouts and tip your hat to the traditional meals from back in the day. Christmas curry – If you fancy something a little different and with a bit more spice, throw any leftover turkey or veg in to your favourite curry recipe and enjoy as an additional tasty meal over the festive period. Buffet – Another great way to get friends together, is by throwing together a Christmas buffet using all of your leftovers.